Curry Veggie Pizza | "Il faut goûter"
A few days ago an (unceasing) abundance of zucchini and a large container of yogurt that needed (needs!) to be used sparked me to create a fresh pizza with a curry twist. I love yogurt sauces, and I often flavor them curry-style. The family’s verdict: Delicious! I’ll share the recipe with rough measures. 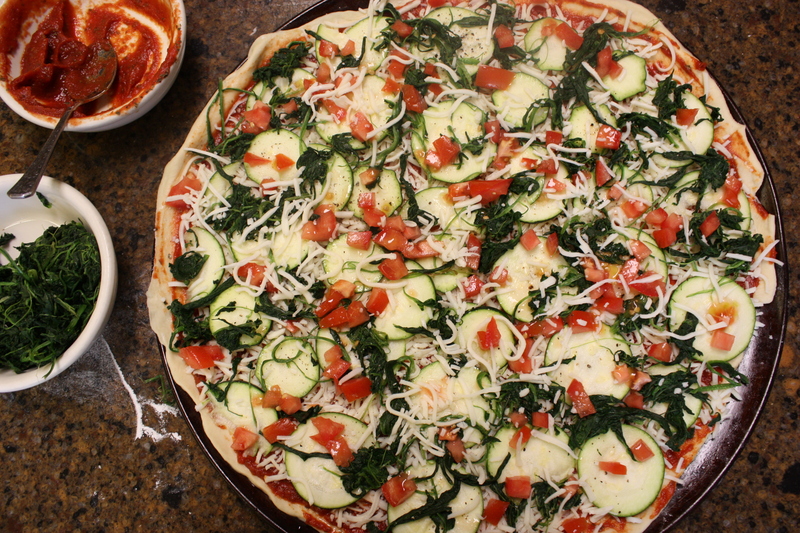 Crust: I always use the same basic pizza dough recipe, and for this pizza I rolled it very thin for a crisp crust. 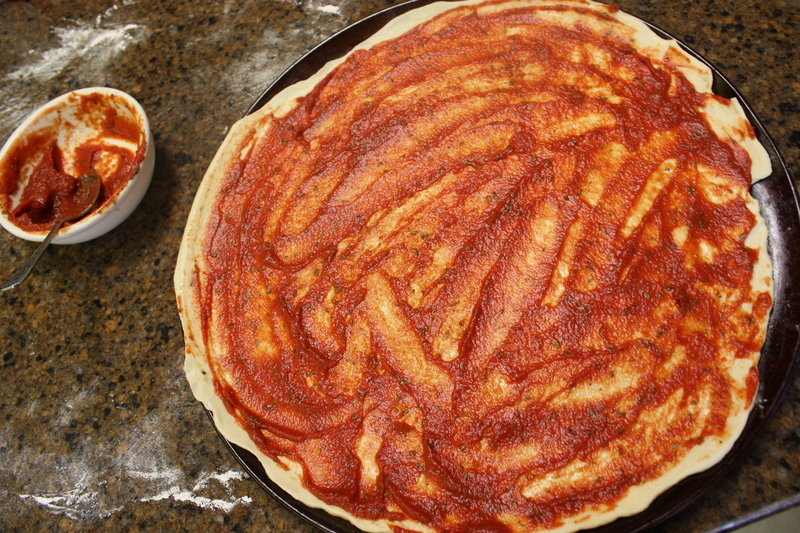 In a bowl, mix the tomato paste with nearly an equal amount of water to create a thick pizza sauce. Add all other ingredients and stir to combine. This pizza sauce is slightly sweet which complements the tomato, curry, and basil really well. 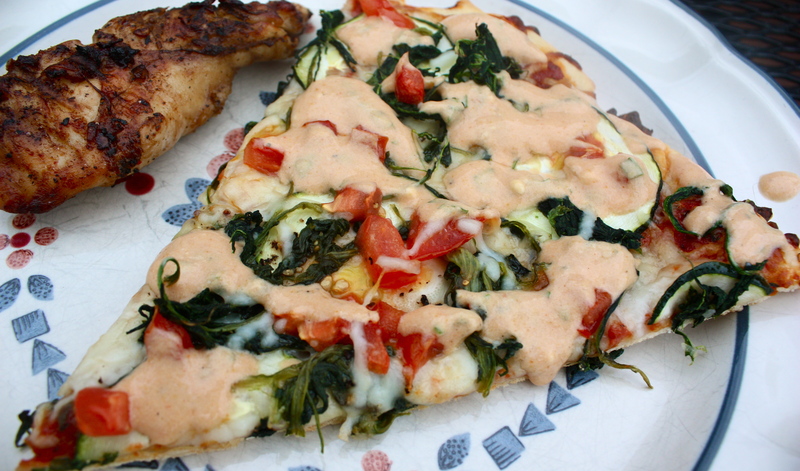 A great twist on classic pizza sauce! **This makes enough for one pizza with a bit left over to use in the yogurt drizzle below. Mix the yogurt with the cream to thin it to a nice drizzling consistency. Add all other ingredients, tasting as you go to achieve a nice curry flavor. This will also be a bit sweet since there’s honey in the pizza sauce, and the mint is just so pleasant! Bake that pizza at 375 degrees for 10-15 minutes or until crust is crisp and cheese is melted. Drizzle the yogurt sauce on top for a delightful mélange of flavors!! This entry was posted in Uncategorized and tagged curry, curry pizza, curry veggie pizza, curry yogurt, pizza, veggie pizza by needtotaste. Bookmark the permalink. No leftovers from this meal.